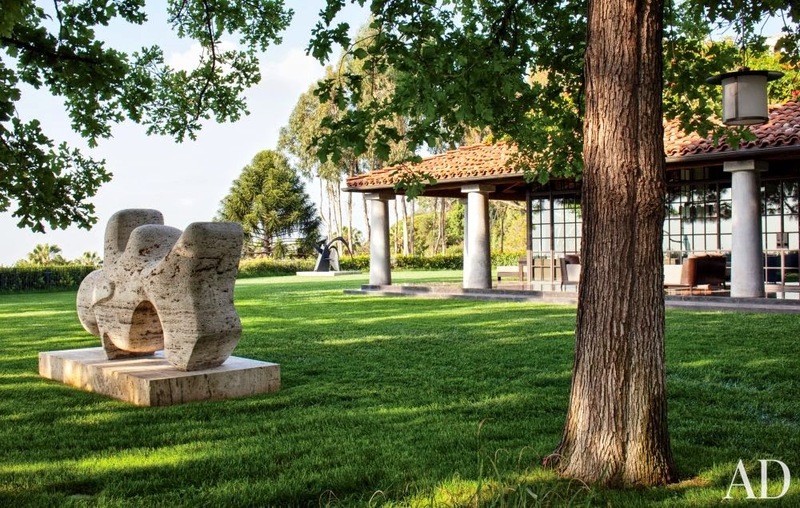 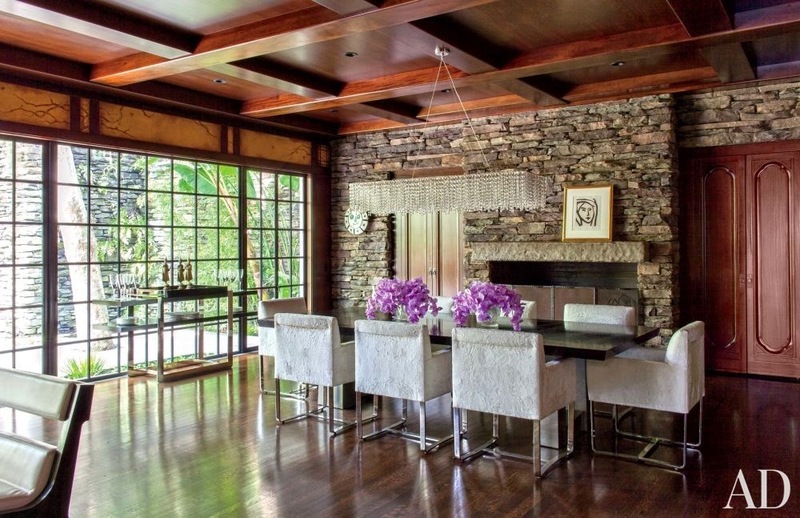 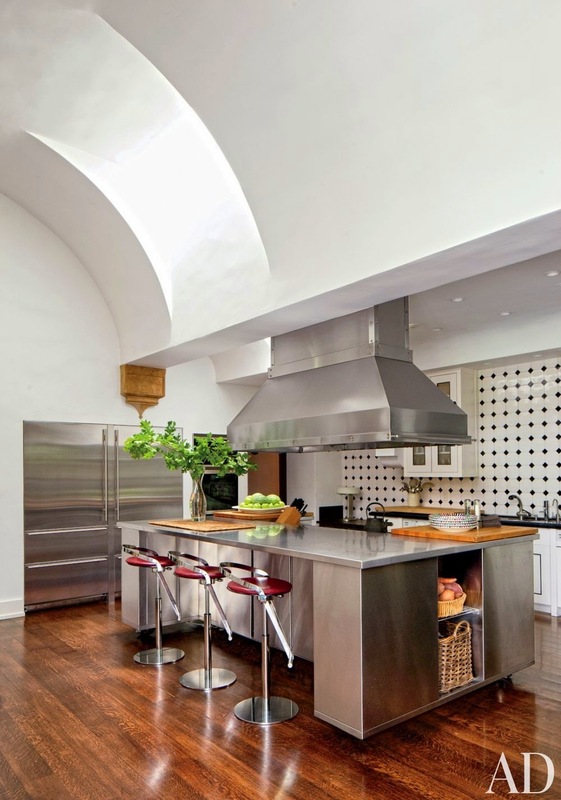 Interior decorator Nancy Heller decorated the Los Angeles home of a film producer and his wife. 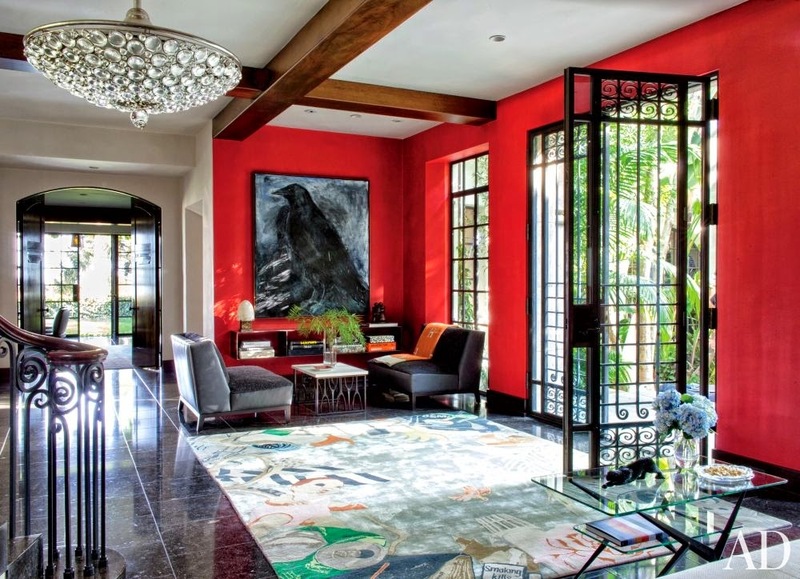 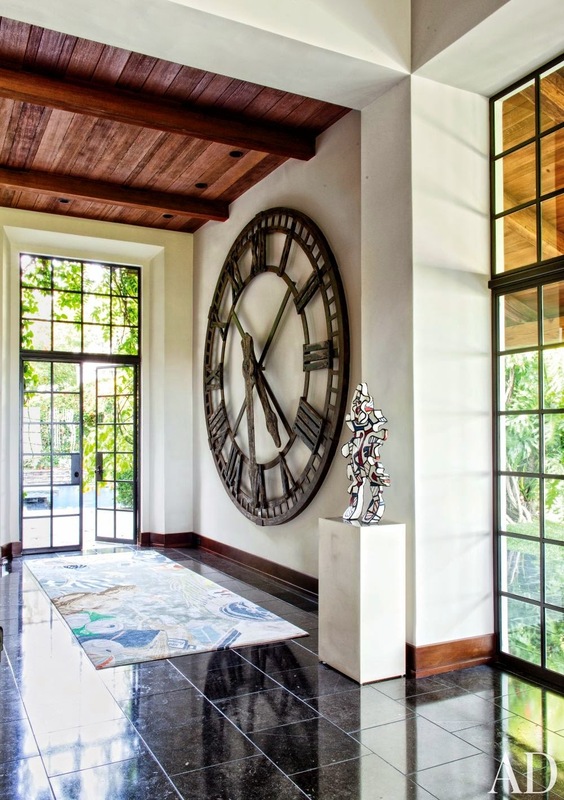 A Jim Dine painting hangs in the entrance hall of a Los Angeles home; the light fixture is by Mark Brazier-Jones, the orange throw is by Hermès, and the carpet is by the Rug Company. 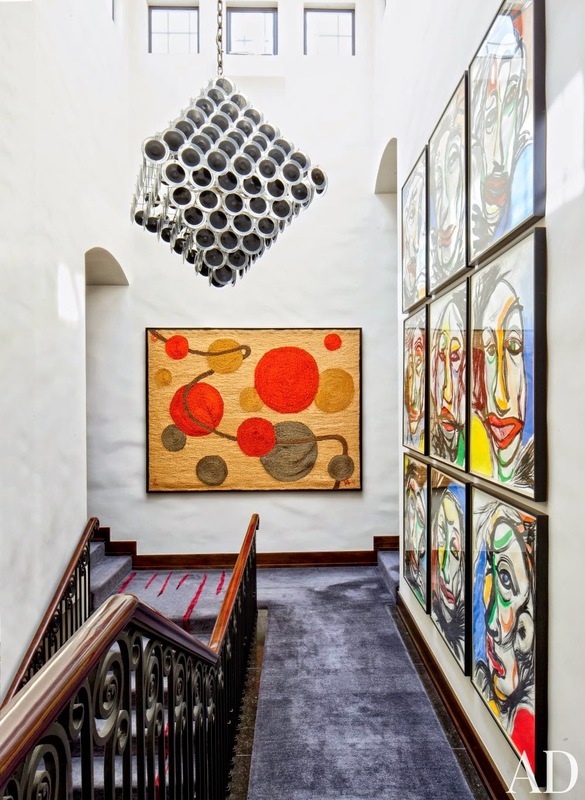 In the powder room of a Los Angeles home is an Alexander Calder lithograph; the hanging light is vintage Luigi Brusotti. 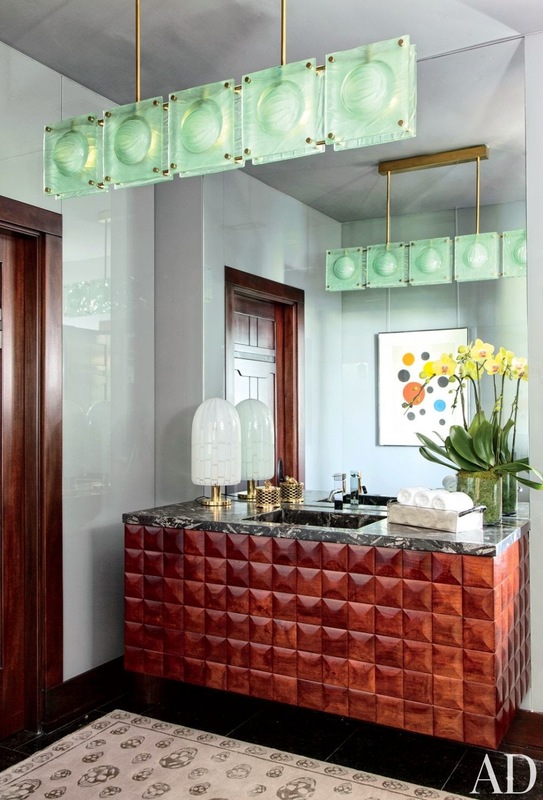 The domed master bedroom features a Stephen White ceiling fixture from Emmerson Troop, curtains made of a Nobilis fabric, club chairs by Christian Liaigre, and a carpet custom made by Christopher Farr; the faux-fur throw coverlet is by Romo. 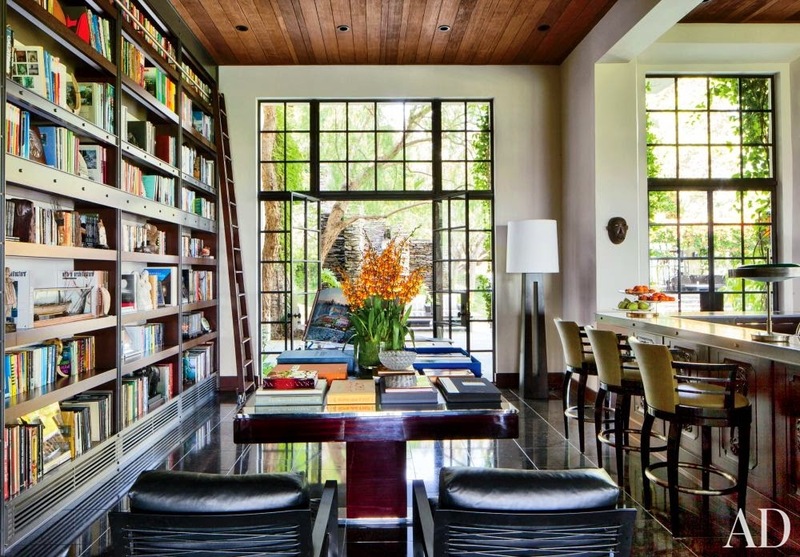 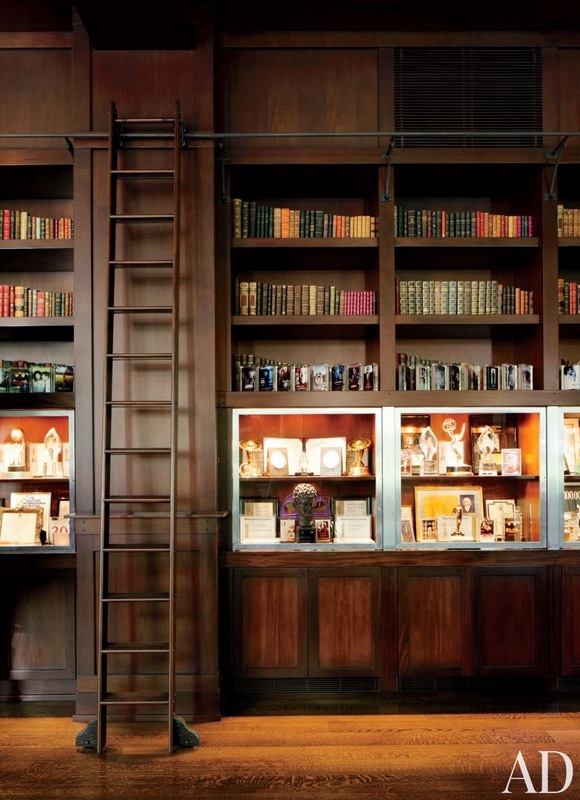 The main library of a Los Angeles home is appointed with Minotti armchairs (in the foreground), a custom-made Jean de Merry table, and bookshelves designed by Nancy Heller. 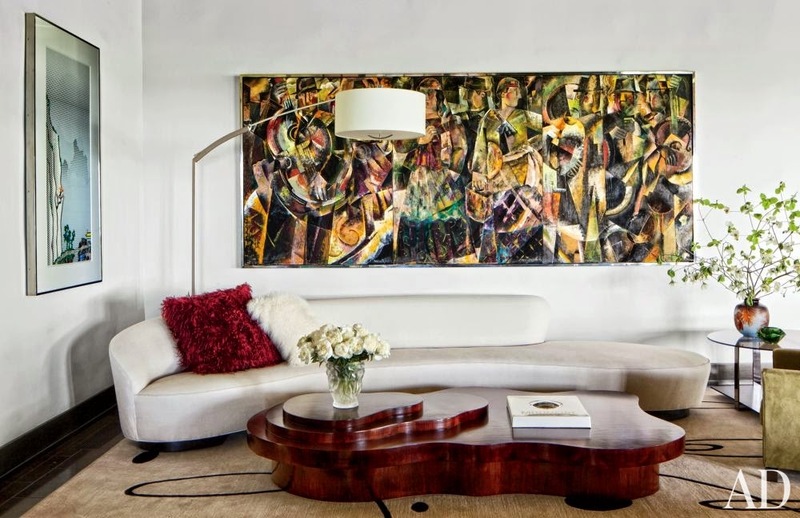 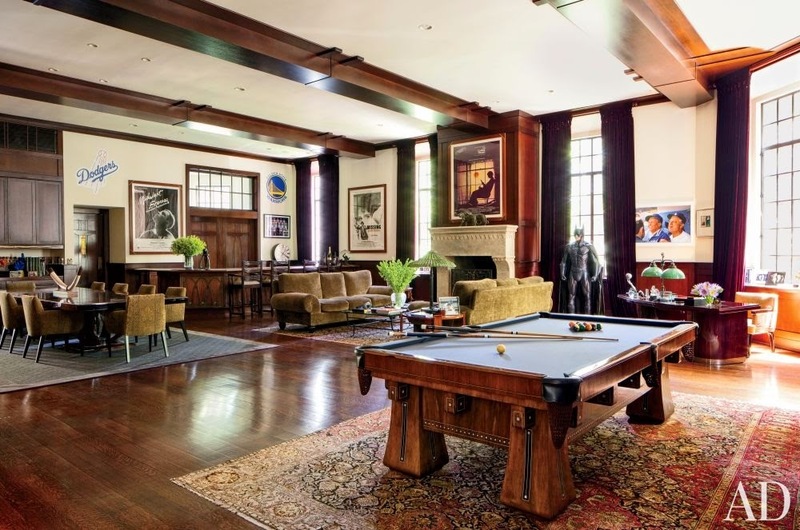 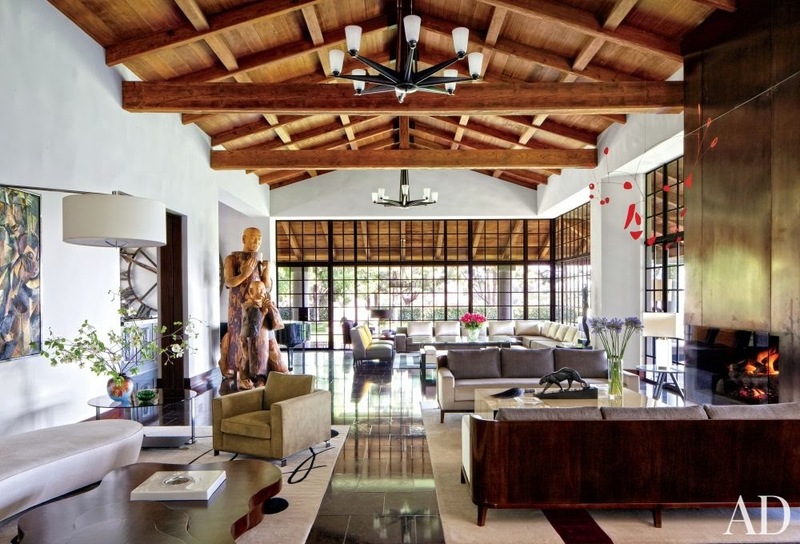 In the living room of a Los Angeles home, a Jessica Rice triptych overlooks a Vladimir Kagan sofa from Ralph Pucci International and a Jean de Merry cocktail table; the carpet is by Christopher Farr.